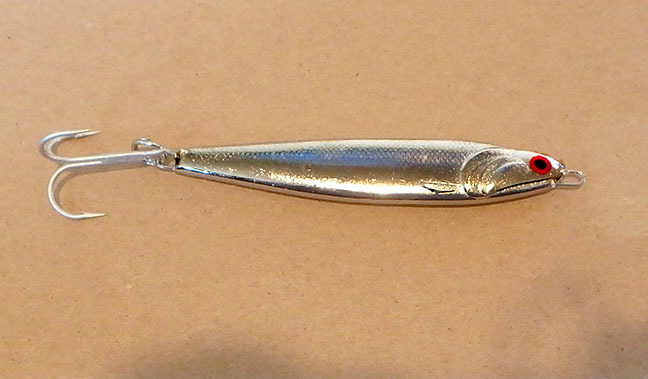 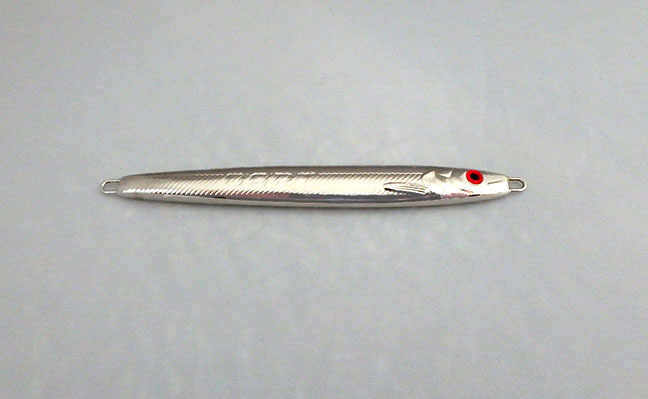 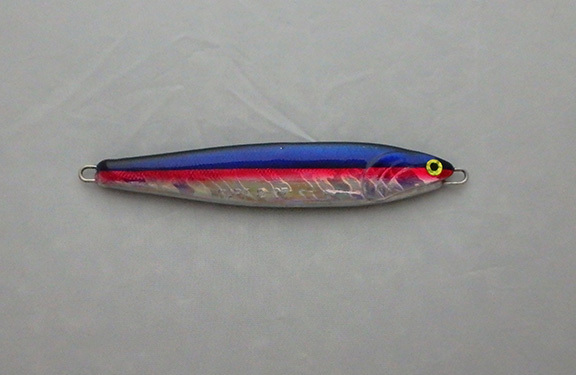 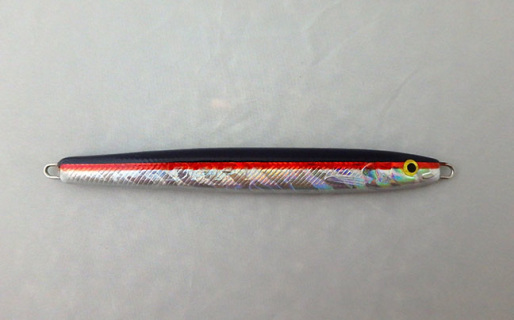 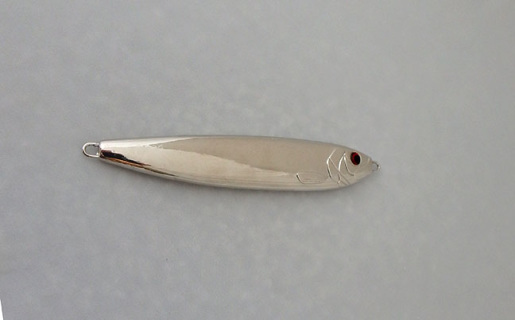 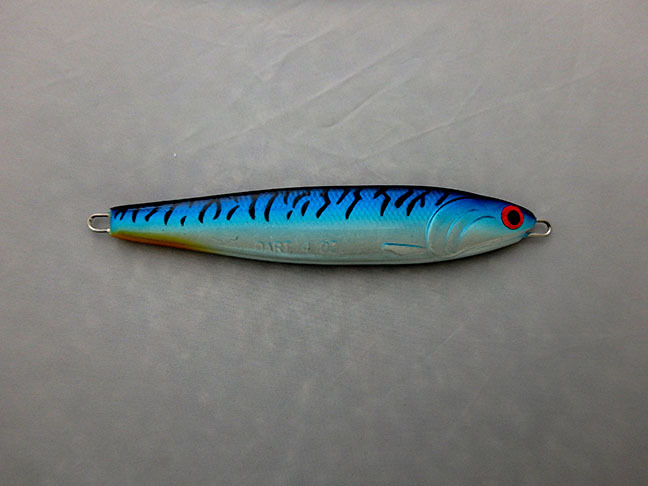 Anchovy darts sink with fluttering fish-attracting action and are the most popular jig style for catching tuna. Jig is 5 inches long. 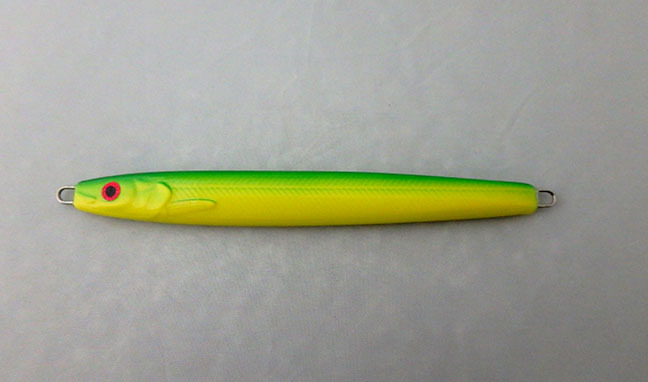 Point Wilson Dart candlefish are the fastest sinking jigs on the market, the quickest to get down to where the fish are. 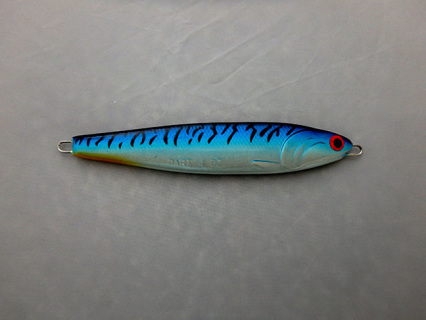 Jig is 5 1/2 inches long. 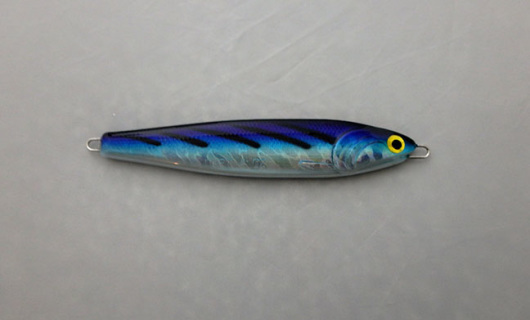 6 ounce Point Wilson Dart blue nickel herring. 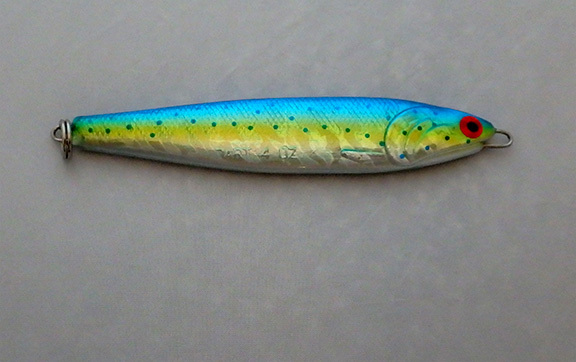 Jig is 4 3/4 inches long and comes with treble hook. Herring combine the best of both the other jig styles sinking faster than the anchovy with more action than the candlefish. 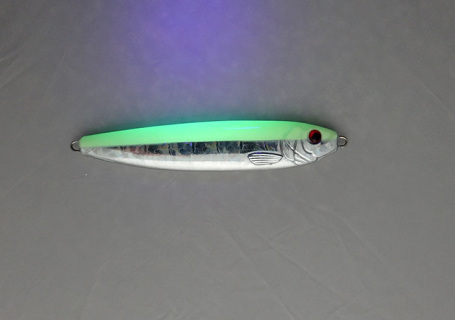 6 ounce Point Wilson Dart UV blue pearl herring. 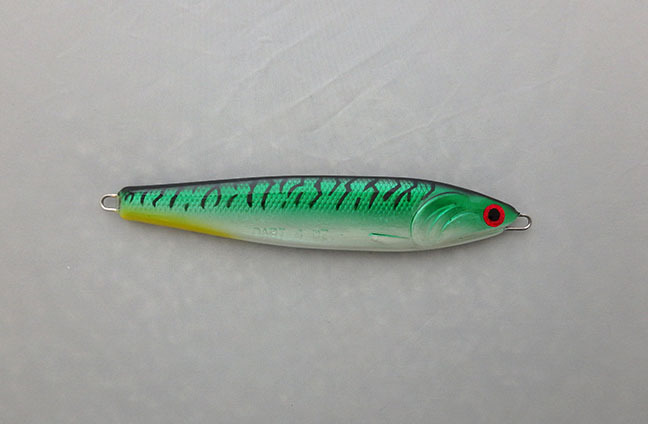 Jig is 4 3/4 inches long and comes with treble hook. Herring combine the best of both the other jig styles sinking faster than the anchovy with more action than the candlefish. 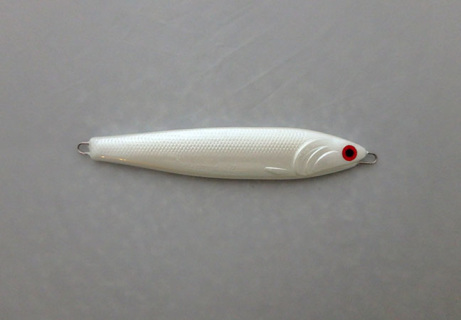 6 ounce Point Wilson Dart chrome herring. Jig is 4 3/4 inches long and comes with treble hook. 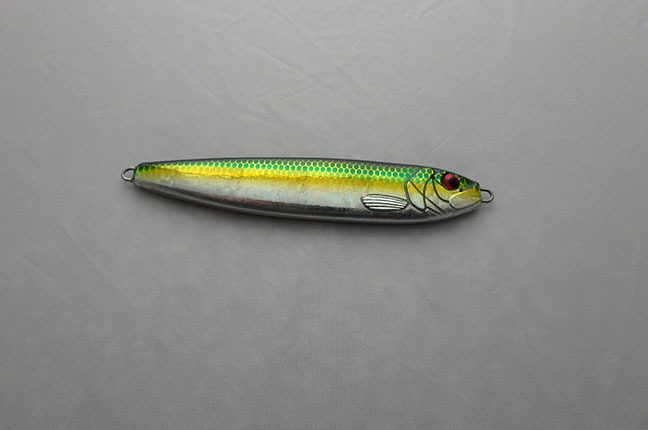 Herring combine the best of both the other jig styles sinking faster than the anchovy with more action than the candlefish. 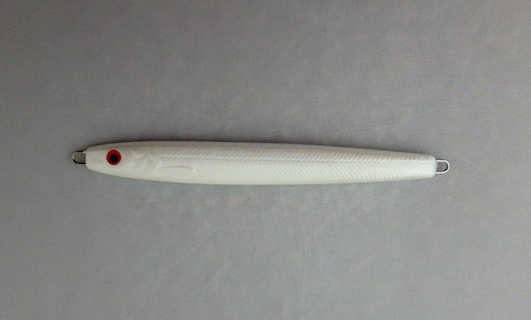 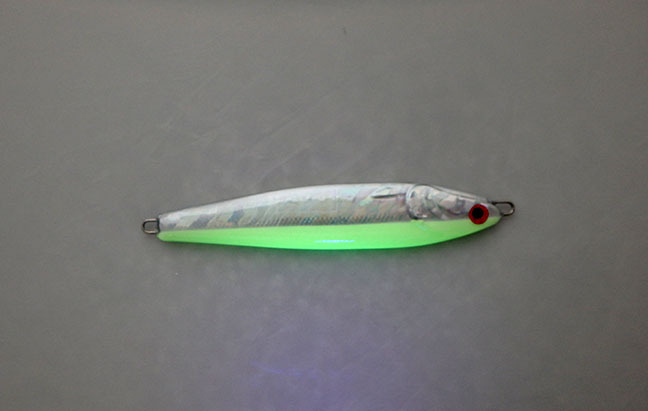 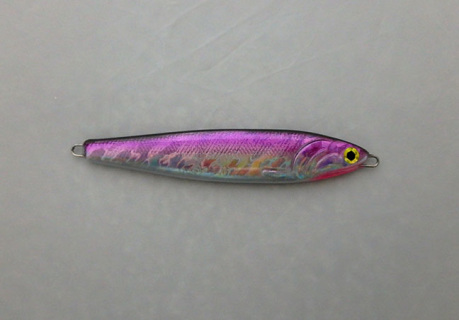 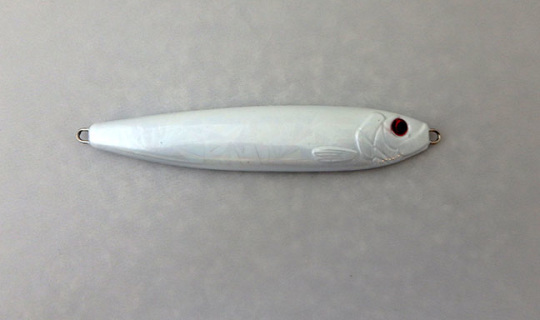 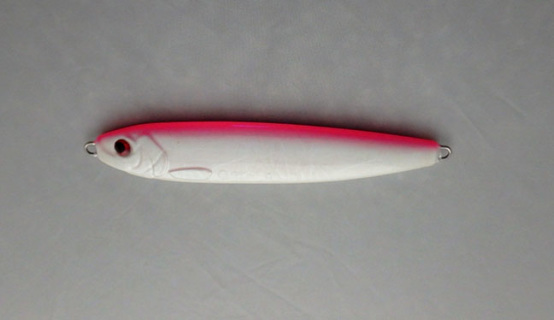 6 ounce Point Wilson Dart glow herring. 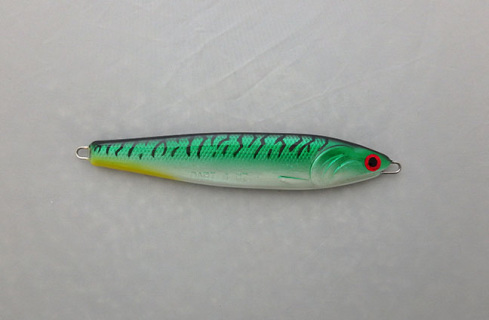 Jig is 4 3/4 inches long and comes with treble hook. 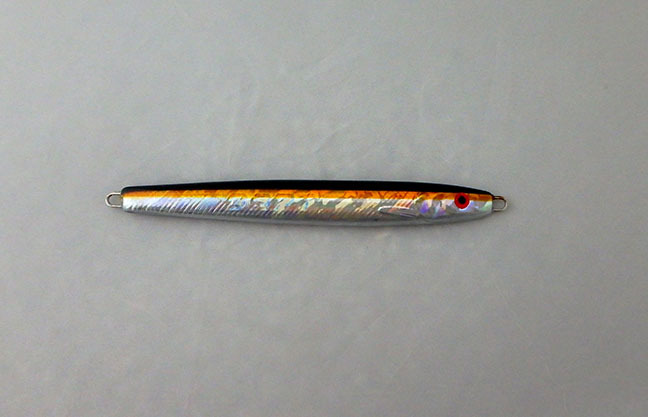 Herring combine the best of both the other jig styles sinking faster than the anchovy with more action than the candlefish. 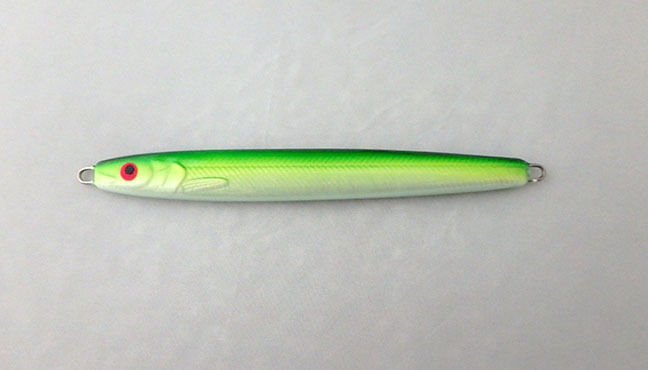 6 ounce Point Wilson Dart green nickel herring. 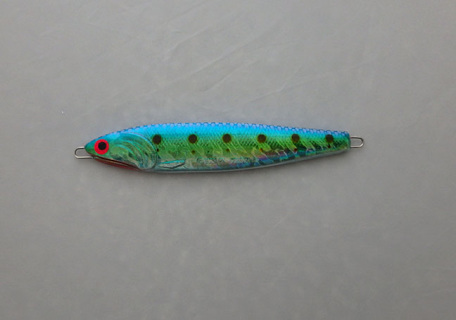 Jig is 4 3/4 inches long and comes with treble hook. Herring combine the best of both the other jig styles sinking faster than the anchovy with more action than the candlefish. 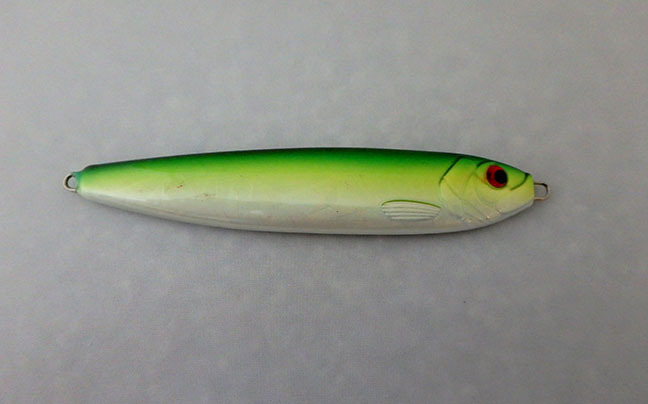 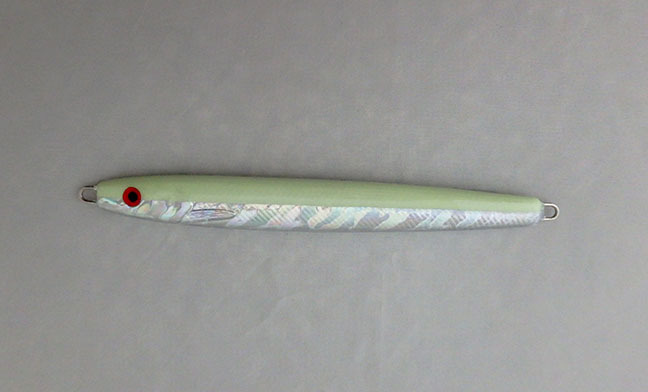 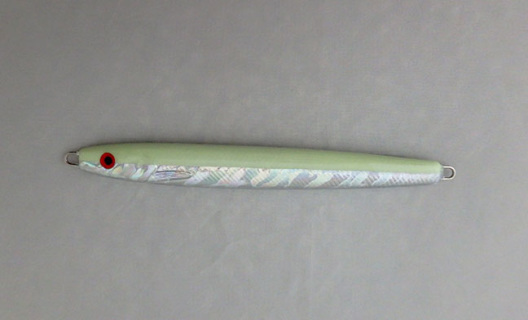 6 ounce Point Wilson Dart green pearl herring. Jig is 4 3/4 inches long and comes with treble hook. 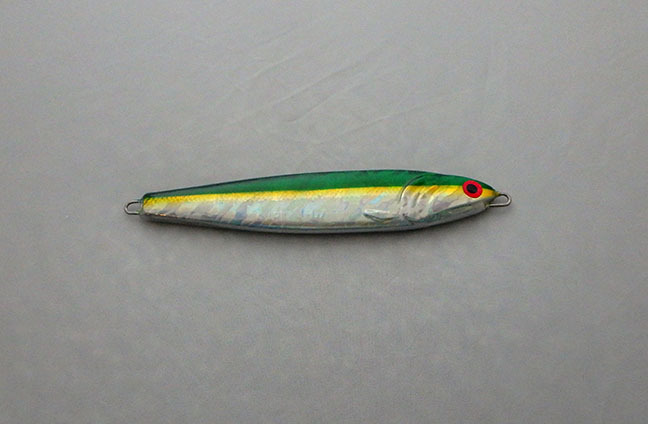 Herring combine the best of both the other jig styles sinking faster than the anchovy with more action than the candlefish. 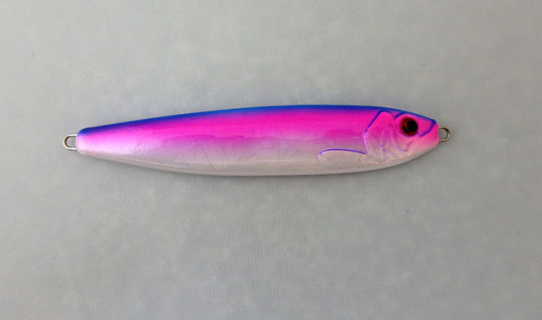 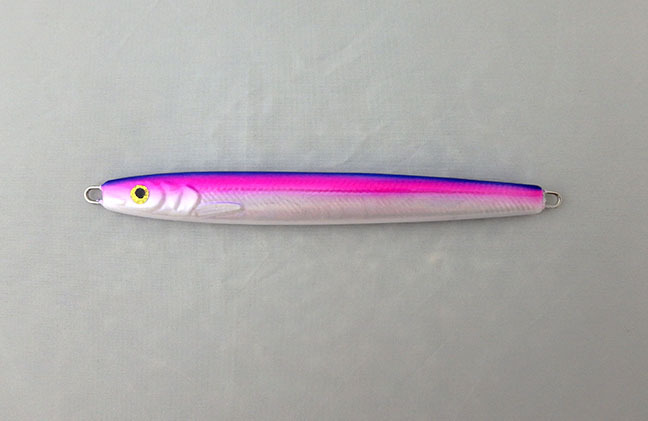 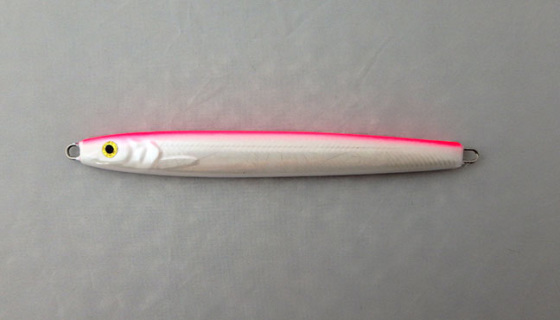 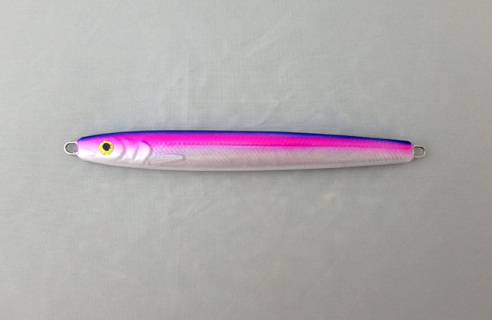 6 ounce Point Wilson Dart UV pink pearl herring. Jig is 4 3/4 inches long and comes with treble hook. 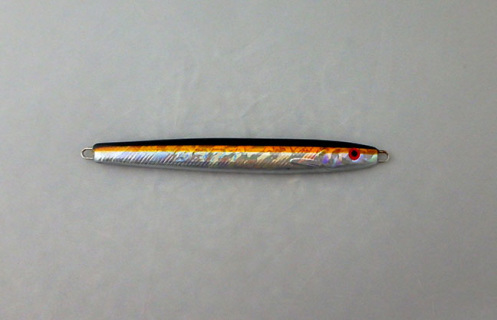 Herring combine the best of both the other jig styles sinking faster than the anchovy with more action than the candlefish. 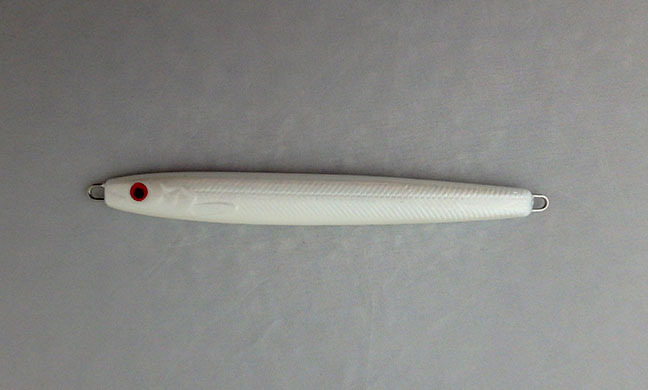 6 ounce Point Wilson Dart pearl white. 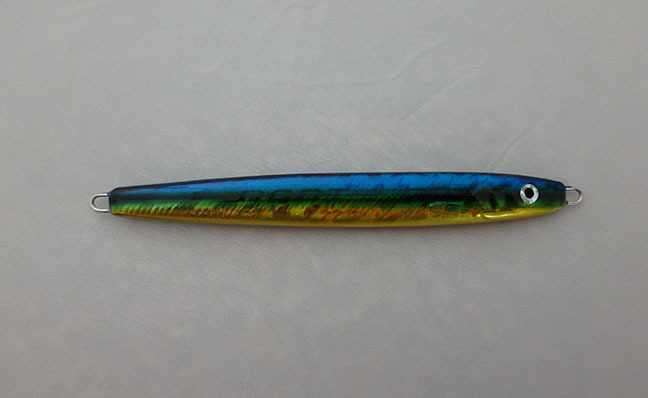 Jig is 4 3/4 inches long and comes with treble hook. 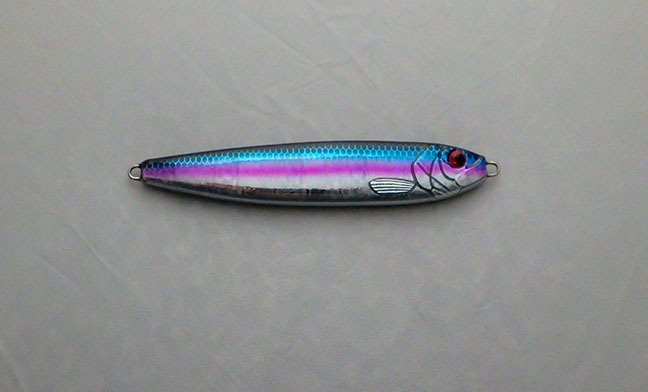 Herring combine the best of both the other jig styles sinking faster than the anchovy with more action than the candlefish. Customers ordering on this site from outside the USA may be asked to send additional money to cover the cost of shipping before their products ship. 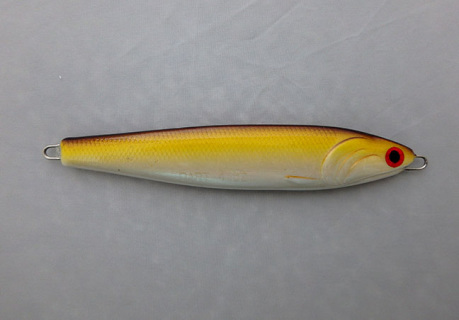 You can avoid that by ordering from DartJigs.com or SquidLures.com.